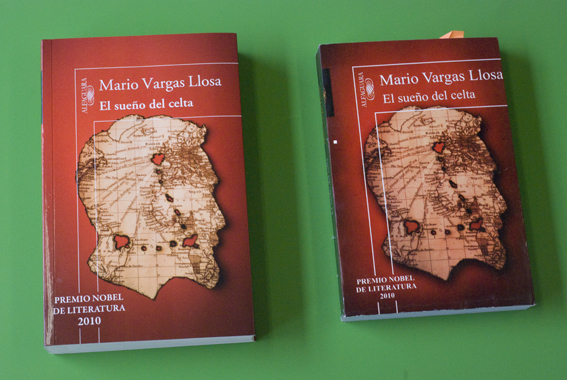 A pirated Vargas Llosa novel bought in Lima, Peru in 2010, that went on sale a week before the official version arrived in bookshops. The Piracy Project (Andrea Francke & AND Publishing) will host a panel discussion and book pirating session on August 17th, 6-8, and Saturday August 18th, 3-7PM, respectively. In a public presentation/discussion, Andrea Francke and Eva Marie Weinmayr will introduce The Piracy Project. Panelists Joanne McNeil (Rhizome), Sergio Muñoz Sarmiento (Clancco) and David Senior (MoMA Library) and will present a selection of books from the exhibition that they would like to see inducted into the Piracy Project library, negotiating concepts of originality, copying, moral issues and taste as they defend their selections. At the end of the conversation, 3 books will be chosen as the winners. On the following day, Saturday, August 18th, Eva and Andrea will make copies of the winning books to bring back to London to add to their collection. Anyone who would like to help us in the process of making the books is invited to join and find out more about the project. 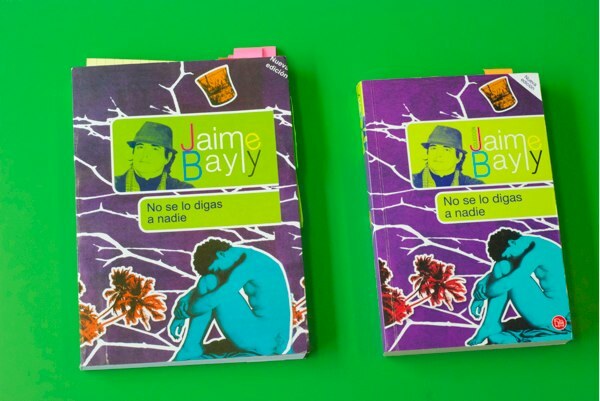 right: No se lo digas a nadie by Jaime Bayly; left pirated copy with two extra chapters added by an anonymous writer. In the context of the Piracy Project, which we initiated in London in 2010, we discovered cases, which not only took control over the object, but over the content. Inspired by Daniel Alarcon's article in Granta magazine, “Life Among Pirates”, we traveled to Peru and discovered, for instance, a pirated version of Jaime Bayly’s novel No se lo digas a nadie with two extra chapters added. This physical object may look obviously pirated to a trained eye but could easily pass as the original if you were not looking for differences. The extra chapters are good, good enough to pass undetected by readers.